Stop wishing - start ranking. Learn what a good SEO strategy looks like and how you can implement it efficiently. From SEO beginners to advanced SEO pros: Have you heard of internal linking, keyword cannibalization, on-page SEO optimization and keyword mapping? And did you know that more than 95% of all pages on the web never receive any organic traffic? Running an agency, Brie uncovers the most common SEO mistakes website owner's make - and how to fix them. Turn Google into your friend: Increase rankings, organic traffic and ROI online. 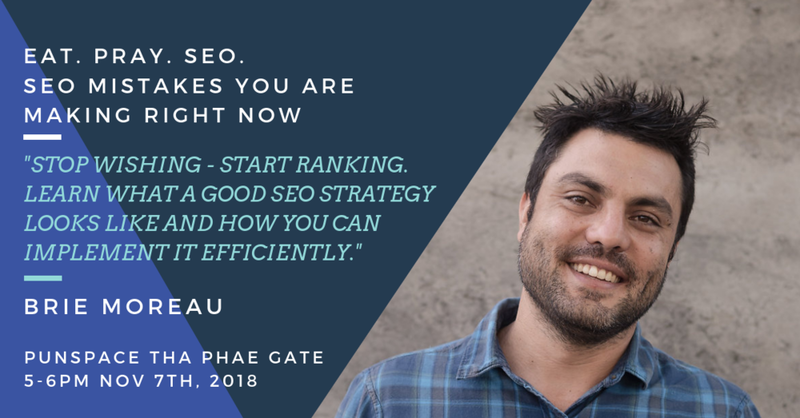 In this practical talk, Brie will present what a good SEO strategy looks like and how you can implement it efficiently. Stop wishing - start ranking. He runs a digital marketing agency White Light Digital Marketing specialising in SEO and CRO and is the founder of DMSS - Digital Marketing Skill Share. An international digital marketing conference located in Bali from October 6th to 8th 2018 and will feature over 40+ workshops and 300+ attendees.